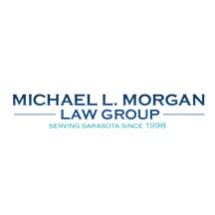 When people need help obtaining compensation for injuries sustained in a life-altering accident in Sarasota, Florida, they rely on our law office, Michael L. Morgan Law Group. We are aggressive lawyers for clients injured in collisions involving cars, trucks, motorcycles, bicycles, pedestrians, buses and boats. We are also there to help families after the wrongful death of a loved one in a hit-and-run or drunk driving accident. Additionally, we represent victims of brain injuries and other serious trauma as a result of a dog bite or slip and fall. Our firm's Managing Partner, Michael Morgan, is undaunted by big insurance companies that only care about profits. In many scenarios, we are able to negotiate sufficient offers without going to trial. In a recent case, our law office successfully secured a settlement of $2.6 million for the family of a victim killed by a drunk driver. When we are unable to come to an agreement that meets our clients’ needs, we take the case into litigation. There, Mr. Morgan applies his deep trial experience to deliver powerful arguments. No matter how complex a case is, we make it our mission to get victims the money they need to offset medical treatment, pain and suffering, therapy, lost wages, limited earning potential and all related future costs. At the Michael L. Morgan Law Group, in a commitment to excellent service, we offer a free initial consultation for all personal injury cases at our law office to prospective clients across Sarasota County as well as the city of Bradenton.